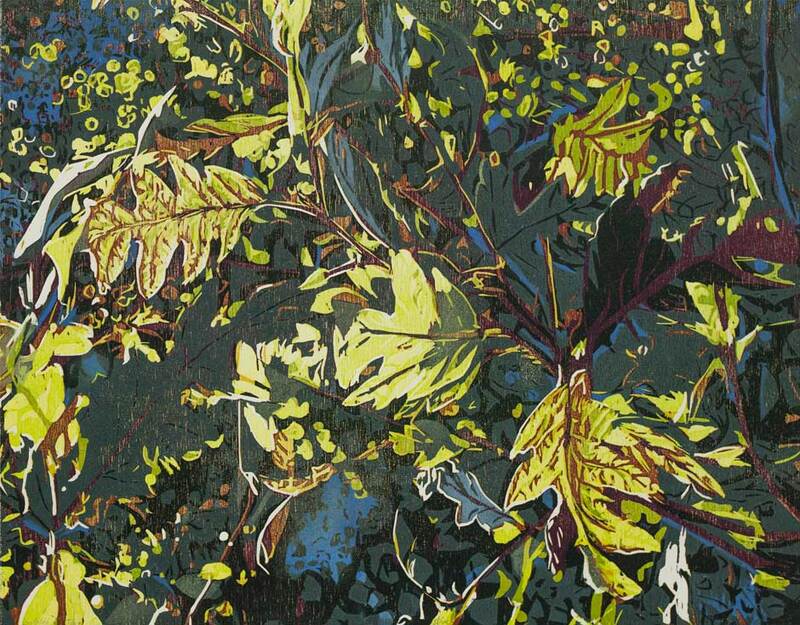 2014 | woodcut & pochoir | 15 x 19"
Jean Gumpper "Late Fall II"
Jean Gumpper "Snow Shadows II "
$1,250.00 | image: 20 x 30" | frame: 27 x 37"
Jean Gumpper "Snow Shadows I "
image: 18 x 44" | frame: 24.25 x 51.25"
image: 30 x 20" | frame: 34 x 24"
$1,700.00 | image: 20 x 42" | frame: 27 x 47"
Jean Gumpper "Local Terrain: Winter Trunks"
image: 3 x 5" | frame: 8 x 10"
Jean Gumpper "Local Terrain: Winter Rose I"
Jean Gumpper "Local Terrain: Reflections IV"
Jean Gumpper "Local Terrain: Purple Coneflowers"
Jean Gumpper "Local Terrain: Pines"
Jean Gumpper "Local Terrain: Iris II"
Jean Gumpper "Local Terrain: Iris I"
Jean Gumpper "Local Terrain: Foxtail Barley"
Jean Gumpper "Local Terrain: Fall Willows I"
Jean Gumpper "Local Terrain: Fall Rain"
Jean Gumpper "Local Terrain: Fall Grasses"
Opening Reception: Saturday, December 6, 2-5 p.m. 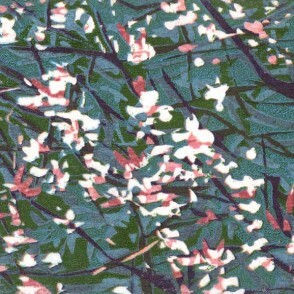 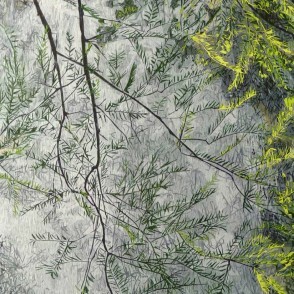 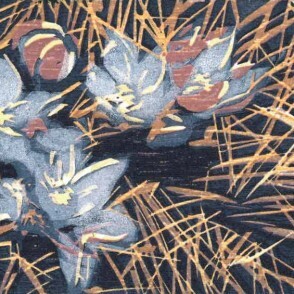 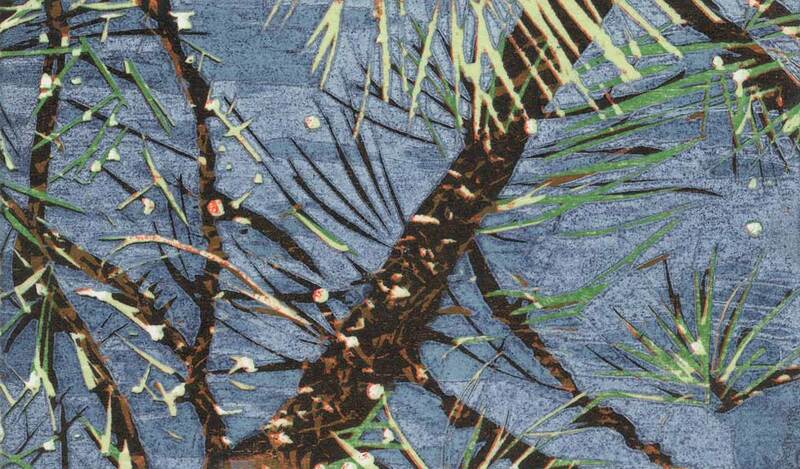 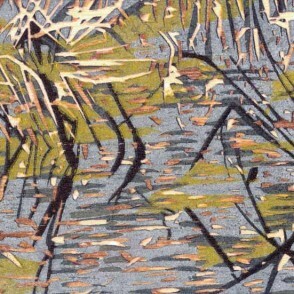 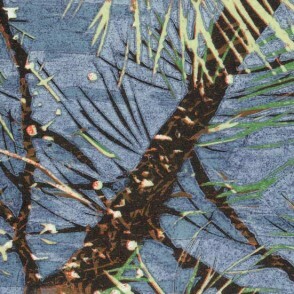 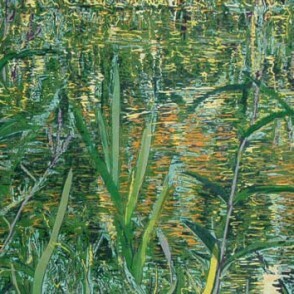 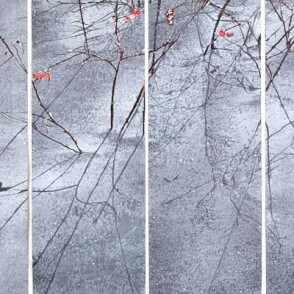 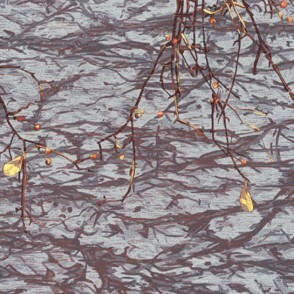 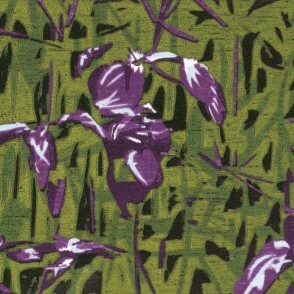 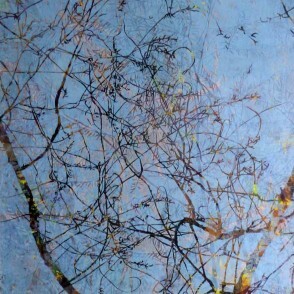 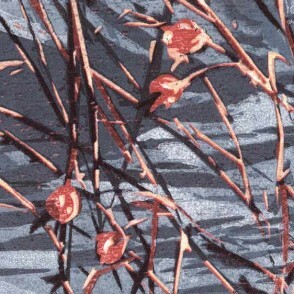 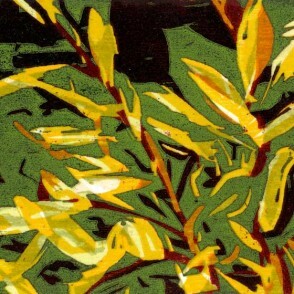 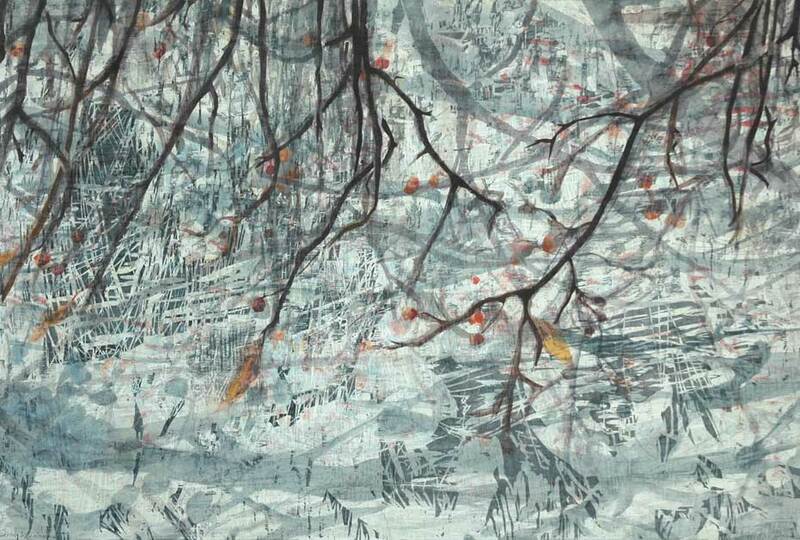 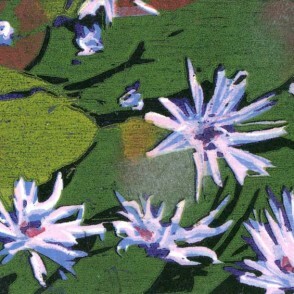 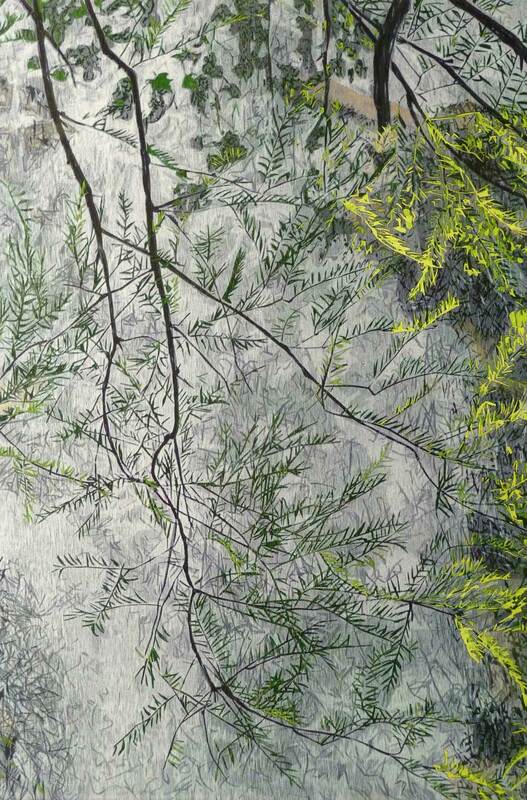 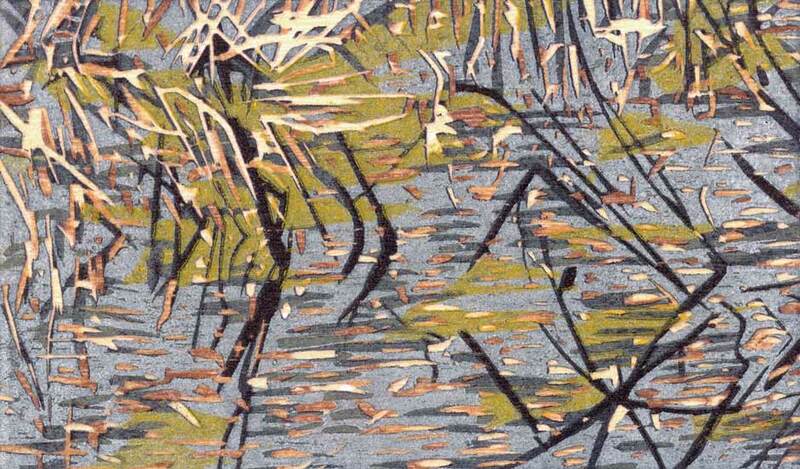 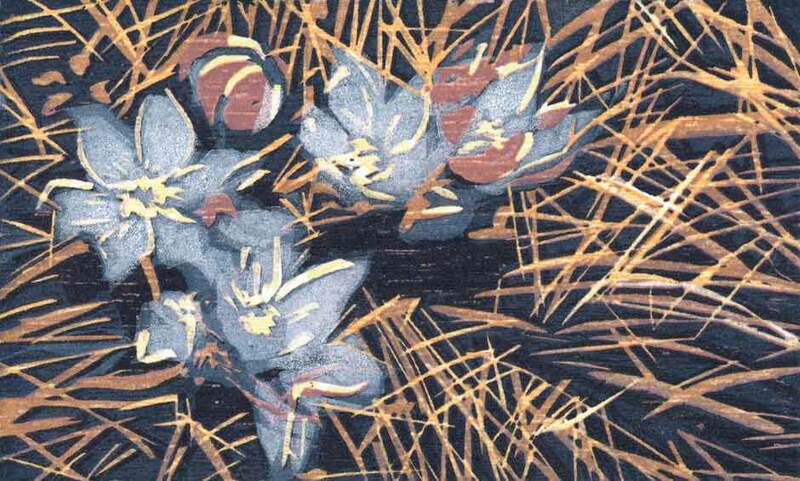 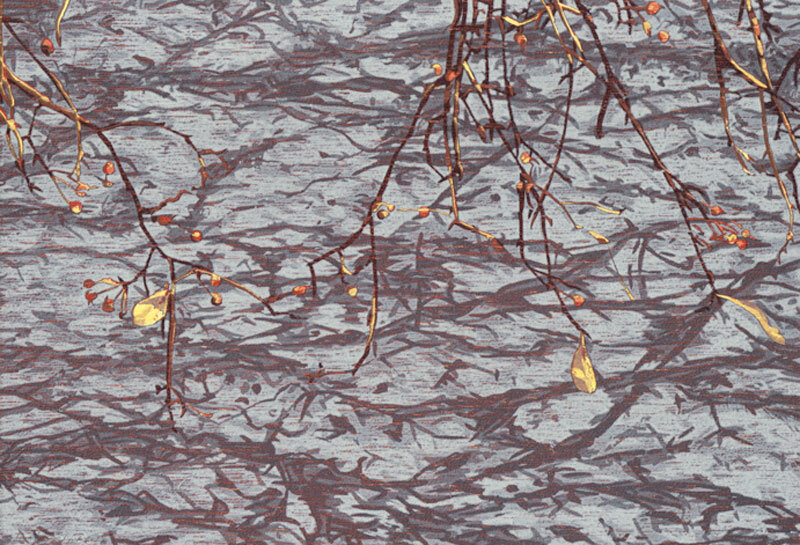 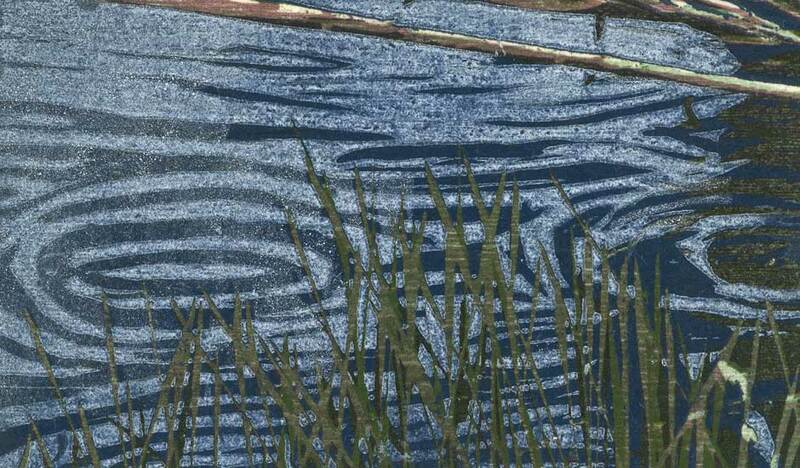 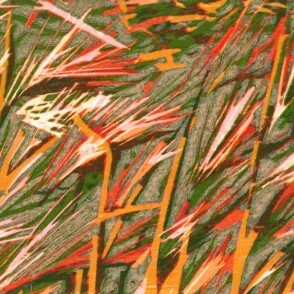 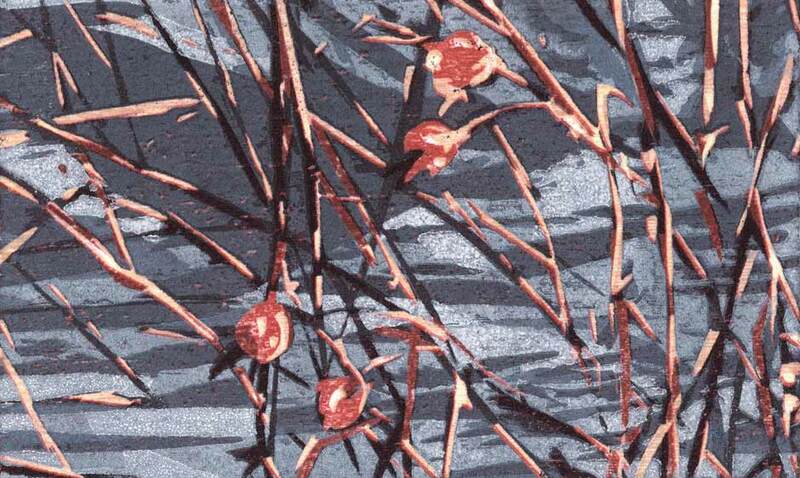 The reduction woodcut process is well-suited to Jean Gumpper’s complex images of water and plant life throughout the seasons: tangled reflections of sinewy grasses in a marsh; a jumble of tree foliage punctuated by autumn’s first gold and red leaves, dripping into a swirling pond below; long shadows of shrubbery poking out among sparkling drifts of snow. 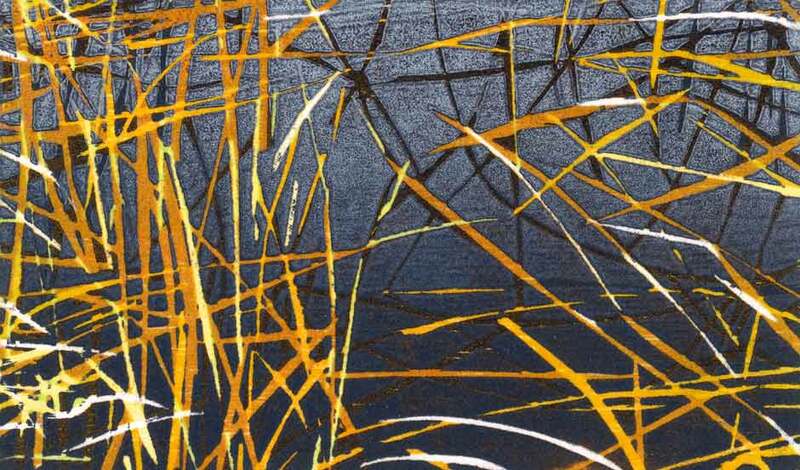 Gumpper focuses on specific elements in the landscape, creating compositions that often omit the context of land or a horizon line. 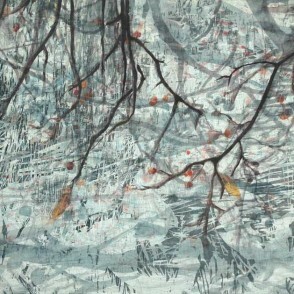 Such an approach allows her expressive, multi-layered landscapes to hover between realism and abstraction. 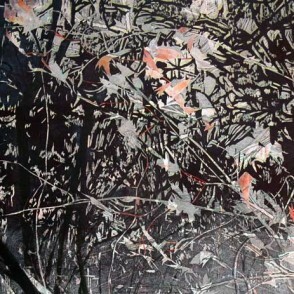 The artist creates her composition by cutting away portions of a piece of birch plywood. 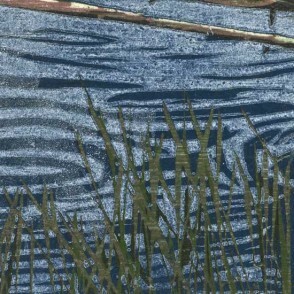 Ink is applied after each cutting, and the paper captures images of the areas that are left in relief. 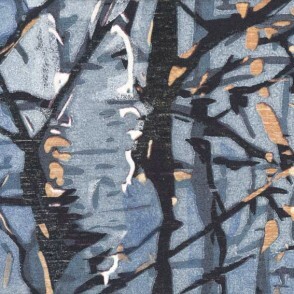 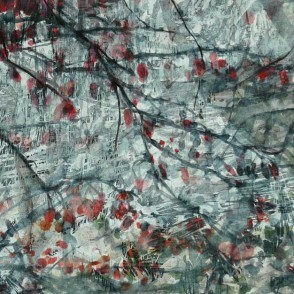 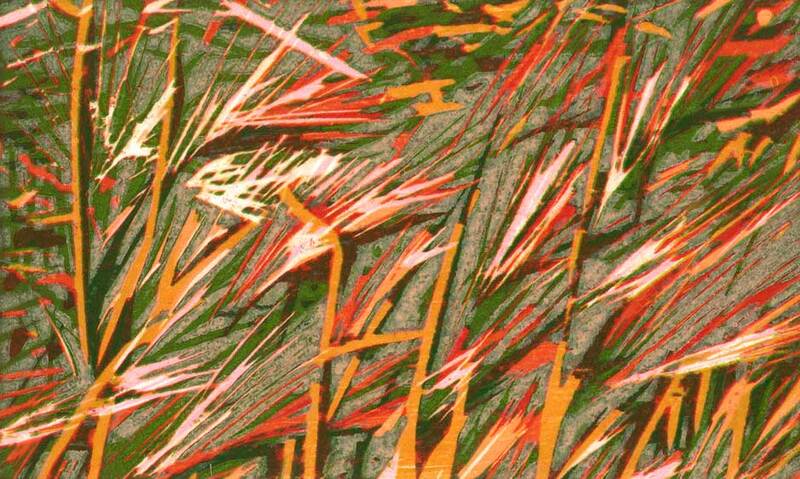 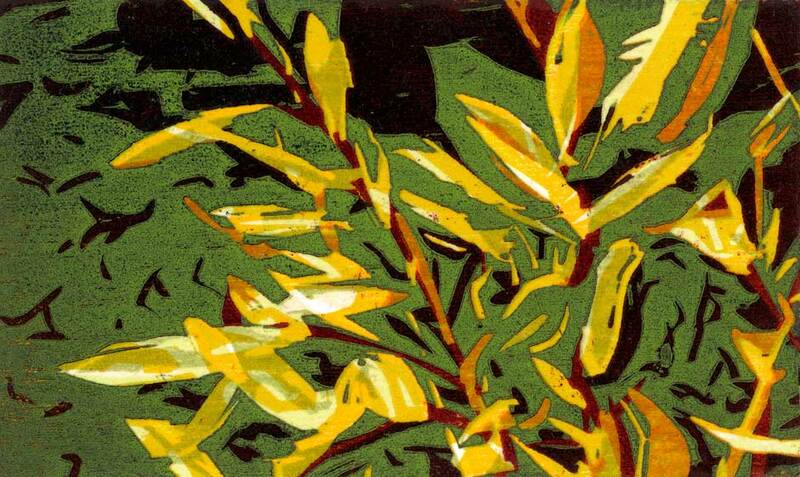 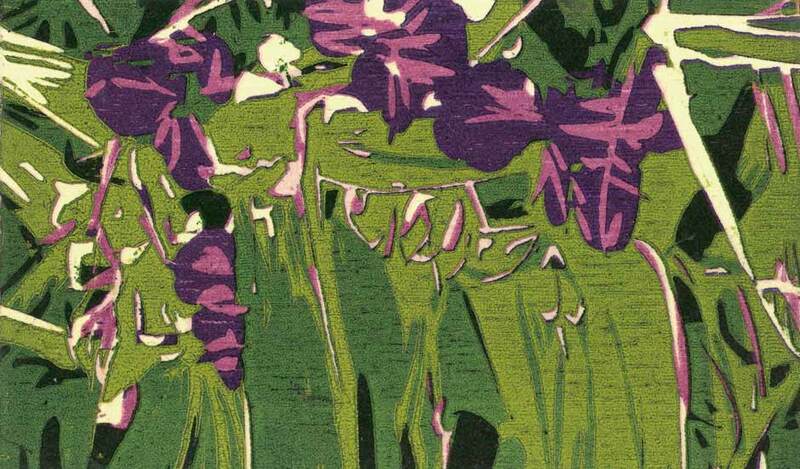 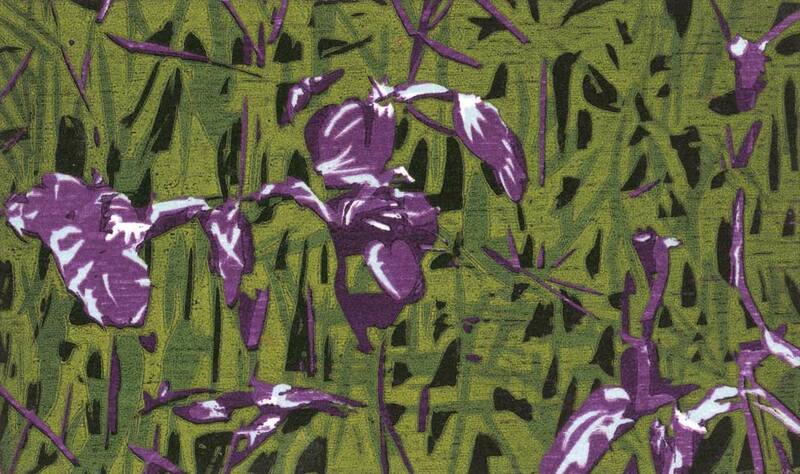 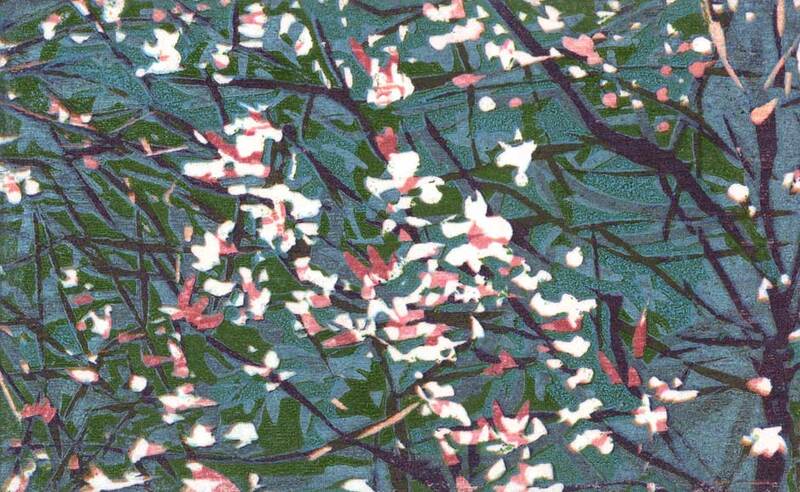 The print develops in stages where layers of color are determined by different cuts to the same piece of wood. 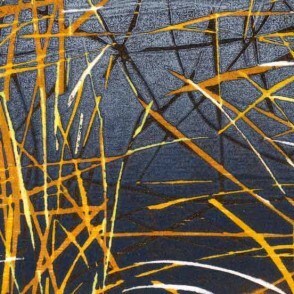 Gumpper is a Colorado artist, and her work has been exhibited nationally and internationally. 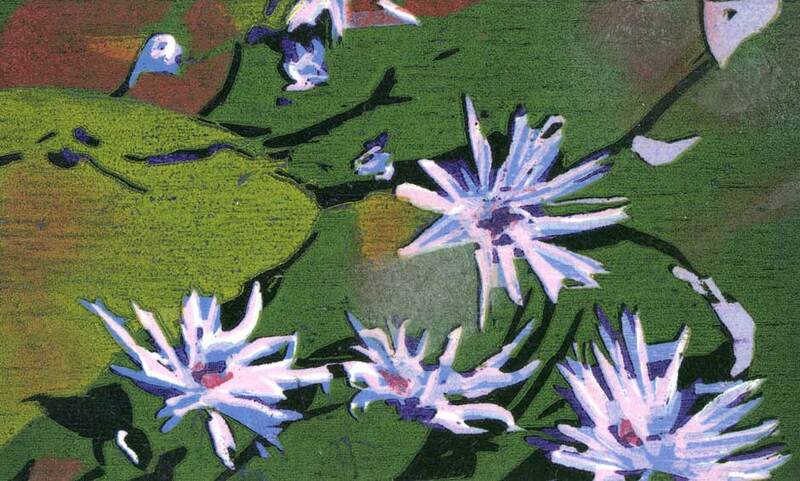 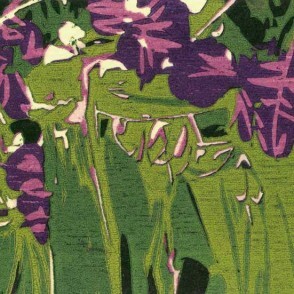 Her prints are included in the collections of the Cranbrook Institute of Art, Colorado Springs Fine Arts Center, Rocky Mountain National Park, Springfield Art Museum, University of Pittsburgh, University of Wisconsin, Madison as well as in private collections in the United States, Canada, Japan and Nepal. 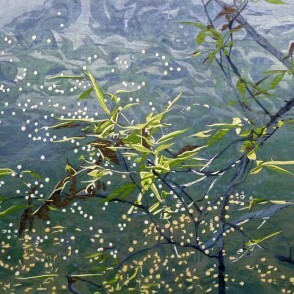 In 2000, she received a Visual Artist Fellowship award from the Colorado Council on the Arts. 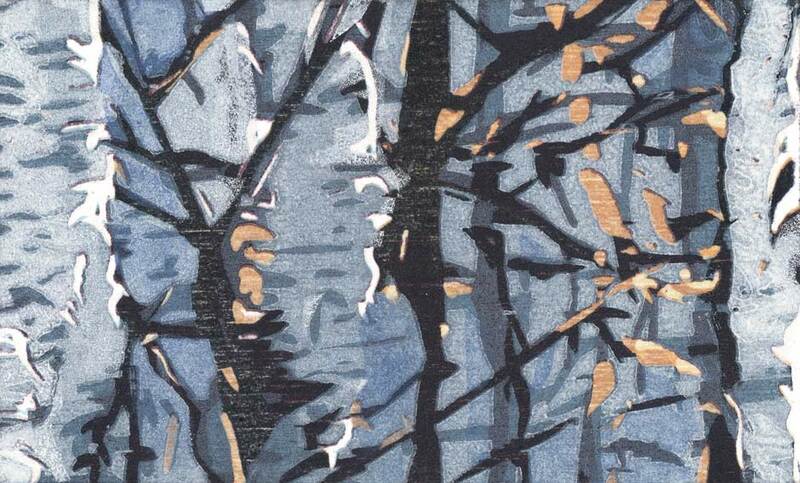 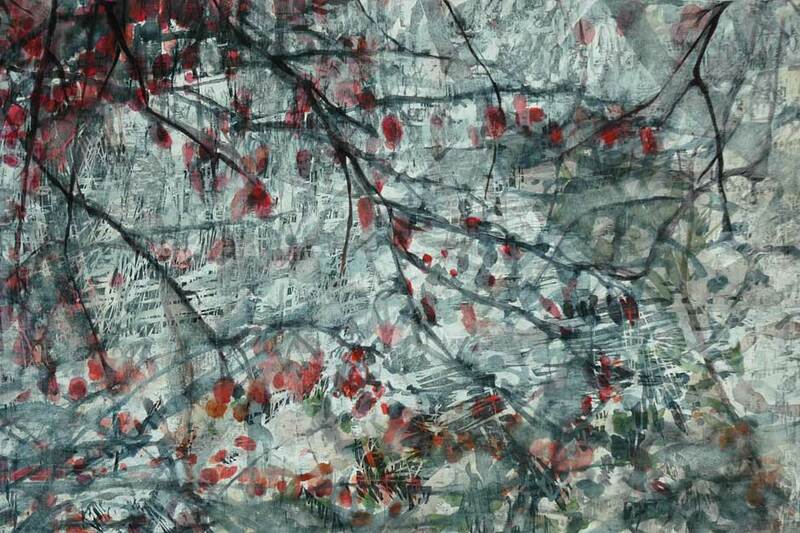 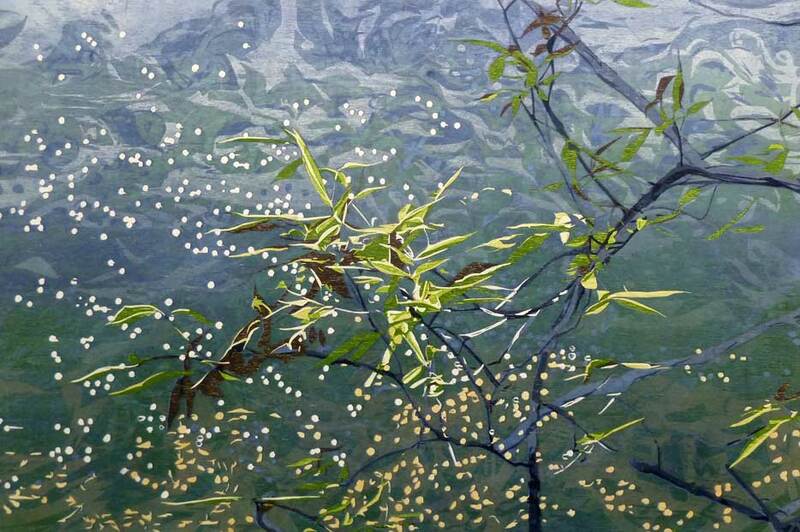 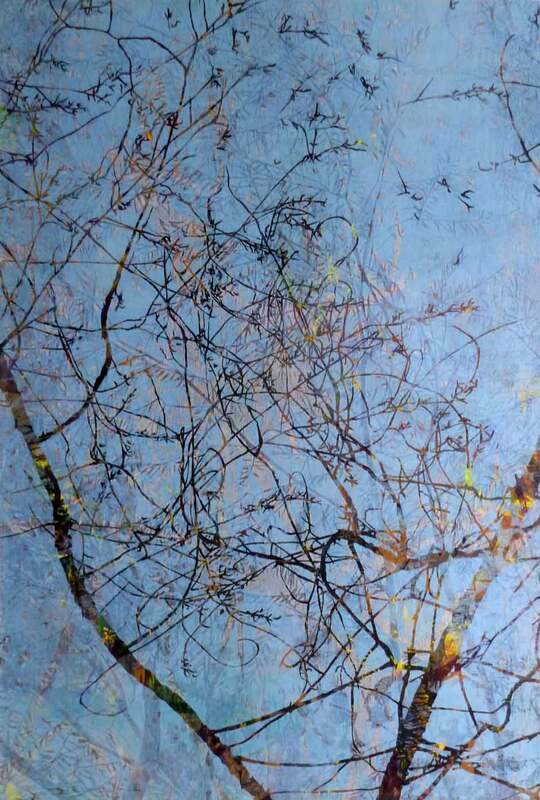 Jean has participated in several artist residencies across the United States including the Anderson Center for Interdisciplinary Studies in Red Wing, Minnesota, the Goldwell Museum in Rhyolite, Nevada, Rocky Mountain National Park and most recently, Grand Canyon National Park.